There I was, standing in front of my bathroom mirror brushing my hair, when I noticed chunks of it coming out on my hair brush. It was horrifying and depressing, after all I was 32 years old and this was not normal! I would later discover that this was a symptom of my Graves’ Disease, and I would even have the misfortune of experiencing it again during my thyroid treatment. While thyroid hair loss might not be one of the more dangerous symptoms of thyroid dysfunction, it can be one of the more disheartening, and it was a constant reminder that something was not right with my body. Thankfully, after a long journey to restore my thyroid function, my hair returned to being as full and healthy as ever. However, when I first meet with thyroid patients, they are often times struggling with thyroid hair loss even while being treated for their thyroid dysfunction. As with many health issues, this is often because conventional medicine doctors fail to identify and address the root cause of thyroid symptoms. I discuss all of these environmental root causes in my book, The Thyroid Connection, and I interviewed 35 of the world’s top thyroid experts about this topic for my FREE online event, The Thyroid Connection Summit, which started yesterday and airs through October 31st. Sign up for free here! 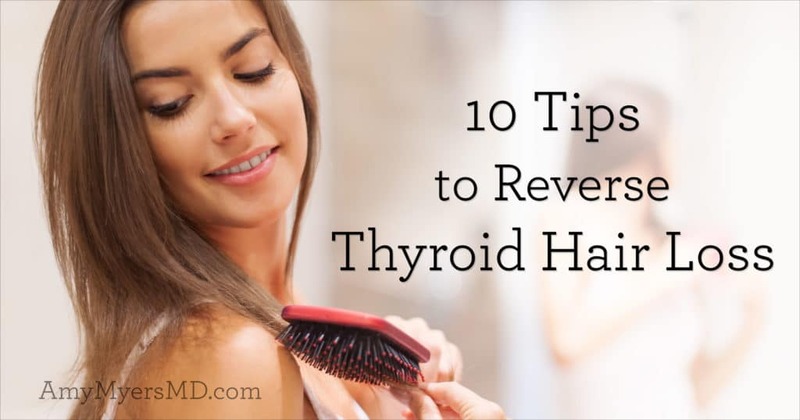 In this article, I’ll share ten tips for addressing the root causes of thyroid hair loss and getting your hair back to being full, shiny, and healthy! My first recommendation if you are dealing with thyroid hair loss is to have your doctor run a full thyroid panel to make sure your TSH, Free T4 (FT4), Free T3 (FT3), and Reverse T3 (RT3) levels are all optimal. In last week’s article, What Your Thyroid Lab Results Really Mean, I explained what each of these blood tests measures, why your doctor needs to order all of them (not just the TSH and T4 that most doctors use), and why they should use optimal rather than “normal” reference ranges. It’s important to understand that you can still have thyroid dysfunction and symptoms, including thyroid hair loss, even if your TSH and T4 are “normal,” and the first step in optimizing all of your levels is to have them tested. 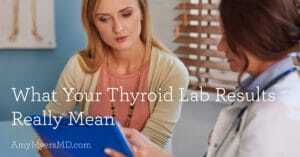 Once you know all of your thyroid levels, you can work with your doctor to make sure that you’re on the right type and dose of supplemental thyroid hormone. Free T3, the active form of thyroid hormone, plays a big role in the health of your hair, yet the most commonly prescribed supplemental thyroid hormone is a T4-only hormone, such as Synthroid® or Levoxyl®. Many thyroid patients have difficulty converting T4, the storage form of the hormone, to Free T3, and do better on natural desiccated thyroid hormone, such as Armour® or Naturethroid®, which includes both T4 and T3, or by adding in a T3-only form of supplemental thyroid hormone, such as Cytomel® or a compounded time-release T3 formula. 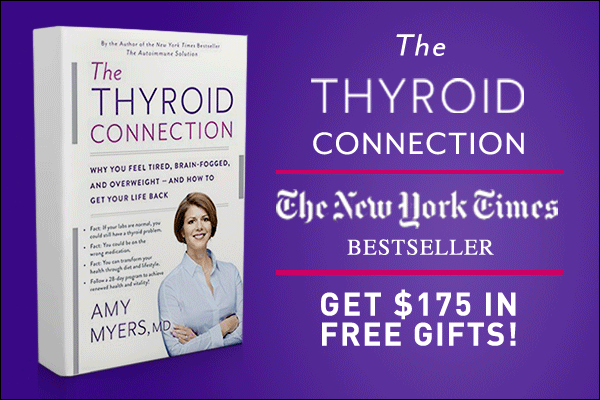 I discuss in detail all of the different forms of supplemental thyroid hormone and how to determine which one is right for you, in my book, The Thyroid Connection. From there you’ll want to make sure your diet has been optimized for thyroid health, which includes ditching toxic and inflammatory foods and adding in plenty of the nutrients needed for essential thyroid function. I’ve written many articles about the huge impact I’ve seen from my thyroid patients going gluten-free, and I cover the scientific research behind it in my book. Dairy is another big culprit for thyroid patients because of its chemical similarities to gluten and because it is so inflammatory for many people. Other inflammatory foods I recommend eliminating while you work to resolve thyroid symptoms include corn, soy, nightshades, eggs, nuts, and seeds. Instead, you’ll want to focus on eating real, whole foods rich in the nutrients needed for thyroid health, including iodine, selenium, zinc, iron, vitamin D, B vitamins, and vitamin A. If you are low in these nutrients, your thyroid can’t adequately produce its hormones, convert T4 to T3, or get T3 into your cells to attach to thyroid receptors, which can cause hypothyroidism symptoms, such as thyroid hair loss. I recommend a diet with plenty of grass-fed, pasture-raised meat, leafy greens, starchy vegetables, organic fruits, and healthy fats. 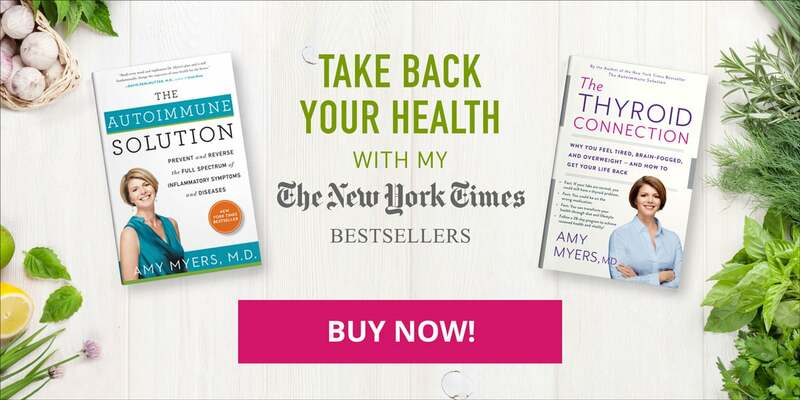 I’ve included a full 28-day meal plan with recipes packed with these nutrients in The Thyroid Connection book. While eating a diet rich in these nutrients is an important step in maintaining your levels of each, the unfortunate fact is that our soil has been depleted of nutrients and our food is less nutrient-dense than our parents’ and grandparents’. That’s why I recommend for everyone to take a high-quality multivitamin each day. I recently developed and released a custom-formulated multivitamin specially designed to provide all of the essential nutrients for thyroid function and general health. It includes all of the vitamins and minerals listed above in their most bio-available and easily absorbable forms. Although all of the nutrients I’ve listed above are key for thyroid health, iron deficiency in particular is a common cause of thyroid hair loss in premenopausal women. I find that most of the women I treat in my clinic are deficient in iron, specifically ferritin, the protein that stores your iron, since they are menstruating monthly. 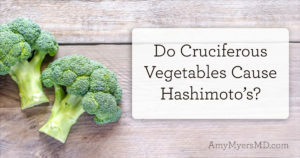 It is particularly common among women following a vegetarian or vegan diet, but I see it frequently in those following a paleo diet as well. If you are a menstruating female or your iron levels are low, I recommend taking a daily iron supplement. Collagen is a protein that is packed with amino acids, including glutamine. It gives your hair its strength, your skin its elasticity, supports healthy bones and joints, and helps maintain gut health. Your body produces collagen on its own, however your production of it decreases as you age, and if you are chronically ill or stressed your ability produce it is reduced. I add The Myers Way® Collagen Protein into my smoothie each morning! 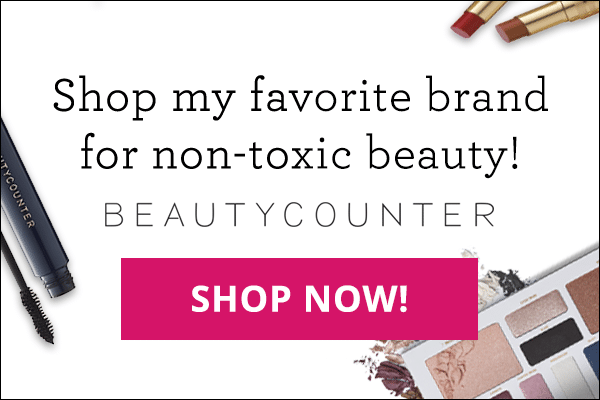 It’s great for your overall health, especially if you are healing a leaky gut, and it can be particularly helpful for those dealing with thyroid hair loss. 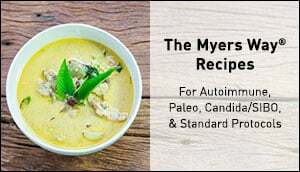 I’m sure you’re familiar with the saying “you are what you eat.” However, I prefer to say, “you are what you digest and absorb!” If you have a chronic illness such as thyroid dysfunction or an autoimmune condition, you may not be fully digesting and absorbing all of the nutrients that are vital for thyroid function and healthy hair. A primary reason for this is low stomach acid, which breaks down your food once it reaches your gut. Some tell tale signs of low stomach acid include acid reflux, gas, and bloating, particularly after heavy meals high in protein. There is a simple test you can do to find out if you are low in stomach acid. You can take one capsule of HCL (the primary stomach acid) with water before a meal, and then see how you feel after about 30 minutes. If you feel a burning sensation, your HCL levels are fine. But, if you feel nothing, you probably need to add an HCL supplement. For more information on how to test your stomach acid levels and how to figure out how much HCL to take, see this video. Many women develop or see a flare in thyroid dysfunction during pregnancy or menopause, when our bodies are going through major hormonal shifts. If your estrogen levels are too high, due to either hormonal changes or chronic stress, the excess estrogen increases your levels of TBG, thyroid binding globulin. This is the protein that allows your thyroid hormones to travel through your bloodstream. When thyroid hormones are attached to TBG they remain inactive, so T4 can’t be stored in your tissues or converted to Free T3, causing hypothyroid symptoms such as hair loss. Eating lots of carbohydrates and not enough quality proteins and healthy fats can send your blood sugar on a rollercoaster. These dramatic swings in blood sugar encourage your body to convert more T4 to Reverse T3, an inactive form of thyroid hormone. This slows down all of your metabolic processes and can cause you to shed hair more quickly. To avoid this, I recommend starting off your day with a high-protein breakfast, whether that’s a protein-packed smoothie or a dish such as my Beef and Veggie Breakfast Scramble, and pairing your starchy vegetables throughout the day with grass-fed, pasture raised meat and high-quality fats, such as avocados and coconut oil. You probably know your adrenal glands for producing adrenaline and managing your fight or flight response, but did you know that, as part of your endocrine system, they also produce hormones that impact your major metabolic processes, just like your thyroid? These hormones help to regulate blood pressure, electrolyte balance, blood sugar, immune response, digestion, and more. Chronic stress, which many of us face on a daily basis, puts your adrenals on overdrive for extended periods of time, leaving you in a state of adrenal fatigue. The flooding and eventual plummeting of stress hormones has many negative impacts on the thyroid. It slows thyroid production, reduces your ability to convert thyroid hormones to their active form, and increases thyroid hormone resistance, causing hypothyroid symptoms, including thyroid hair loss. While stress may be an unavoidable part of our modern lifestyles, there is much we can do to manage our stress levels and their impact on thyroid health, whether that’s taking a walk outside, practicing meditation, or taking a nice relaxing bath.